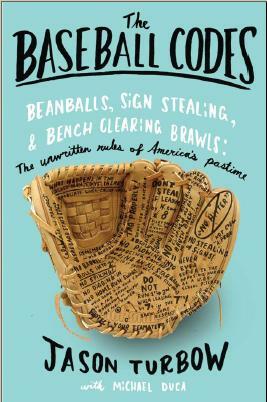 In most instances, baseball’s unwritten rules come in a proscribed package, ready for review every time a pertinent incident crops up on the field. Sometimes, however, they’re made up on the fly. After all, the underlying tenet behind the vast majority of the Code is respect, and that respect can take any number of forms. 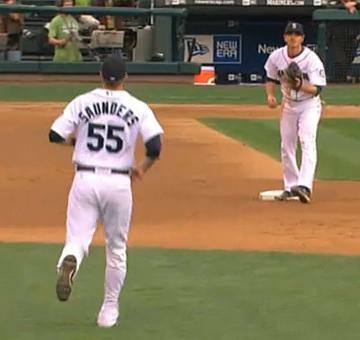 Tuesday in Seattle, Mariners left fielder Michael Saunders exhibited it in spades, after catching a fly ball off the bat of Chicago’s Tyler Colvin. Alfonso Soriano had been at second base, and, thinking the ball would drop, had already rounded third when the ball was caught. For an outfielder, turning an unassisted double-play could be a once-in-a-career moment. As FanHouse pointed out, the all-time career record for major leaguers is six, set by Hall of Famer Tris Speaker. Franklin Guttierez urged Saunders to do it from his position in center field. After the game, Mariners manager Don Wakamatsu said that a more experienced outfielder (Saunders is in just his second season) might feel more comfortable about making such a play without offending the opposition. But this isn’t about whether Saunders would have stirred up the Cubs had he doubled up Soriano on his own. He almost certainly wouldn’t have made a ripple. It’s about a player being cognizant enough of the spirit of the game, and holding enough respect for his opponent, to maintain a strict set of ideals. Saunders saw a high road to take, and he took it. And for that, he gets our kudos. This is refreshing to read about. Hopefully his professional attitude will carry with him throughout his career.